Rethinking the Cuban Revolution offers new perspectives on the political and cultural life of the Cuban Revolution based on inter-disciplinary methods. Contributions reassess the national survival of the Revolution, and propose new approaches to cultural and political identity in Cuba. 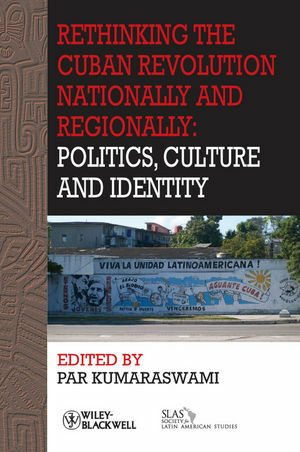 Par Kumaraswami is a Lecturer in Latin American Cultural Studies and Co-Director of the Centre for Latin American and Caribbean Studies, University of Manchester. She has published extensively on Cuban cultural policy and practice, including a forthcoming co-authored monograph on literary culture and the Cuban Revolution. She is co-editor of Making Waves: Anniversary Volume: Women in Spanish, Portuguese and Latin American Studies (with Ann Davies and Claire Williams, 2008) and Revolucionarias: Conflict and Gender in Latin American Narratives by Women (with Niamh Thornton, 2007).